Most of our material comes from antiquarian books published in the 1800's. There are many references to Scottish clans in our History section as well so do use our search engine to find other mentions of your clan or family in our thousands of historical pages. Should you enjoy Scottish History then why not get our Free weekly email newsletter. This is where we list recognized clans along with their histories and where we also provide links to official Clan societies where we know of them. These are all clans that are recognized by the Lord Lyon Court. Should you not have found your name in our Clans page above then try in here. This section includes both Irish and Scots Irish families. A 213 page book listing some 96 clans with their tartans and additional notes in pdf format printed in 1886. This is a huge list of names connected with clans as well as many spelling variations. This is thus a good place to try to find your clan connection. It's a large page and once loaded we recommend you use your browsers Edit/Find search facility to search the page. A list provided by Iain Brodie of Falsyde. Having difficulty in knowing if your name is associated with a clan? We explain all about septs in here and provide lists of names associated with the various clans. Comes from the Encyclopaedia of Clans and Families and is another attempt to list names associated with individual clans. Here we have a detailed look at the great historic families of Scotland. An account of the Earldom and Earls of Mar, Earldom and Earls of Buchan, Earldom and Earls of Huntly, Earldom and Earls of Erroll, Keiths, Great Marischals of Scotland, and Earl Marischals, Earldom and Earls of Findlater, and Seafield. This is our genealogy guide. In here we tell you what we at Electric Scotland can and can't do to help and we also provide pointers to other good research resources. 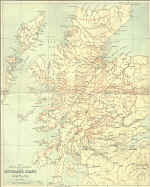 This is where we have a searchable database of tartans with thanks to the Scottish Tartan Society. 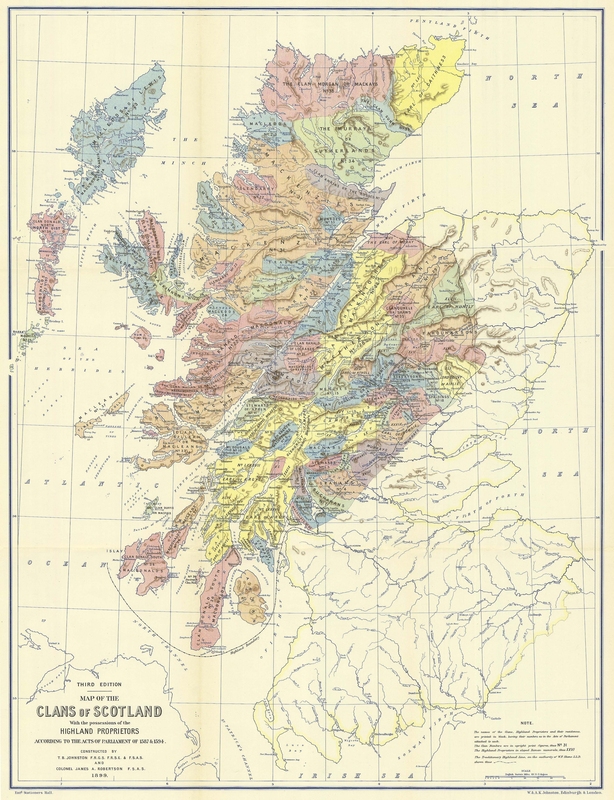 A description of the Highland Clans and how they came into being. A paper read by Mr Murdoch at the Gaelic Society of Inverness 1871. Here are a list of known Clan Chiefs and their addresses. Clans send us in copies of their newsletters which you can view here. Here is a list of clan and family mottos. I have scanned in most of the standard leaflets available from the Lord Lyon's office for you to read here. This is where we list mini bios for you to enjoy and we provide a form for you if you'd like to contribute a story or two to our collection. A very detailed account of how clans came into being and how they were organised. A follow on to the above section which goes on to explain more about the influence of the Irish and Vikings. Where do Duke's, etc lie in precedence or ranking. These postcards come from the publication "The History of Scotland" by James Browne, LL.D published in 1909. Information on what is an Arminger. This page explains about clan shields and crests and is a publication from the Lord Lyon's office. 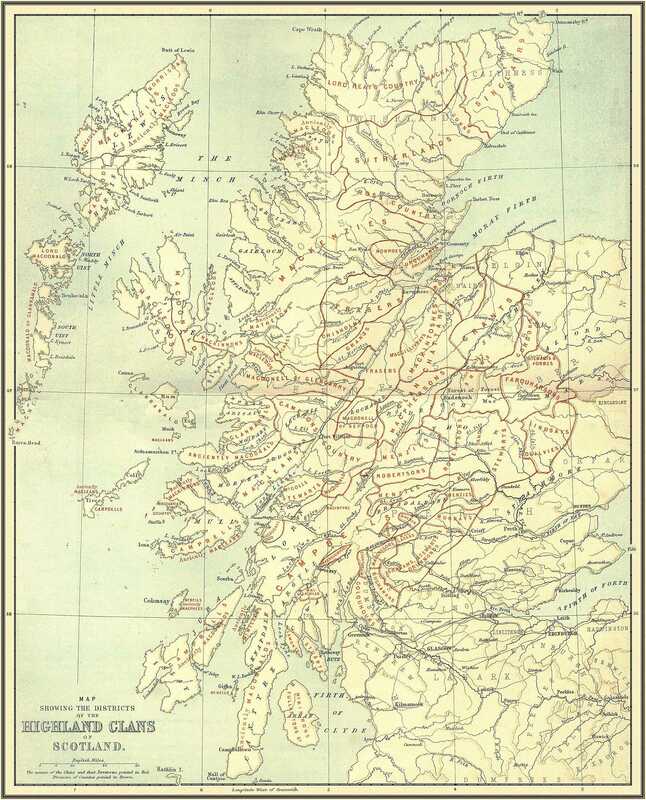 These come from the publication "The History of Scotland" by James Browne, LL.D published in 1909. This is where we provide links to find your tartan and also explains how you might choose which tartan to wear. An example of a typical service. The aim of this website is to bring about a greater awareness of the Art, Law and Science of Scotland's unique heraldry and also to provide a forum for the Society's heraldry enthusiasts, the heraldic professionals and the public at large. The Standing Council is the body which represents the interests of its members in all matters pertaining to the use and protection of their armorial bearings. This is an email we got from Mary Mills Kennedy where she explains her motivation for searching for her roots and what she has got from it. This is a compilation of short stories about various conflicts between clans. As so much is added to the site each day we started this mailing list which sends you an email once a week telling you what's new and includes some stories of Scotland. Register your clan web site with us! Should you have a web site featuring your clan then this is where you can apply to register it on Electric Scotland under your clan page. This map is accurate to the Acts of Parliament passed in 1587 and 1594 respectively.